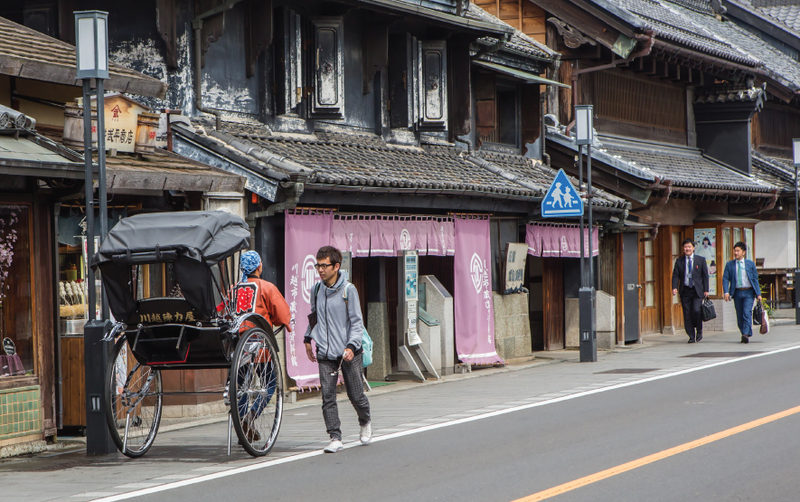 Kawagoe, a quaint city in Saitama Prefecture, still carries the atmosphere of old Japan. It is reminiscent of the Edo Era through its distinct architecture, and is aptly known as “Ko-edo” or “Little Edo”. 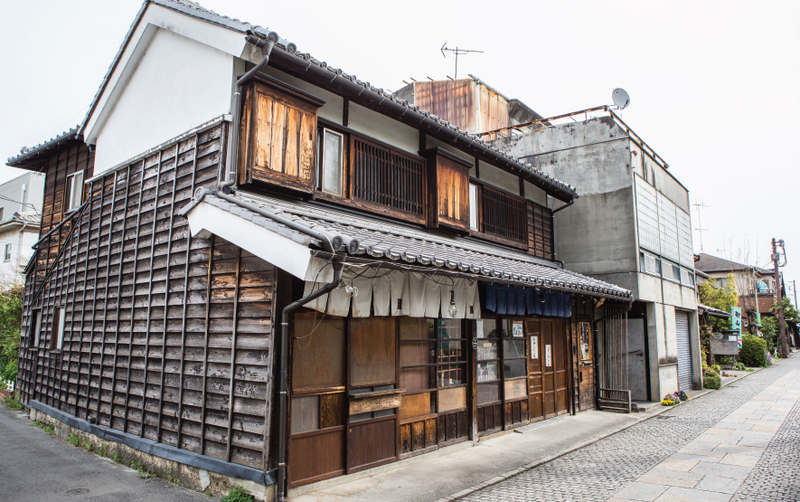 Evoking Tokyo of yesteryears, this city is especially noted for its old clay warehouses and merchant homes called Kurazukuri. 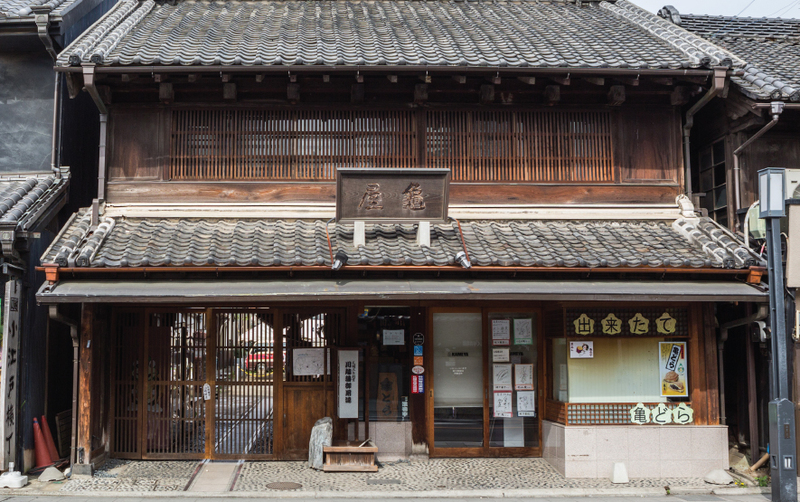 You’ll find around 30 ornate, two-storey Kurazukuri surviving today. Some of these have been converted into museums, to give you an insight into the life and times of a bygone era. Kawagoe flourished as a castle town in the 17th century, during the Edo Period. The Bell Tower, or Toki no Kane, is iconic to the city, with its unique design. It was built in the early 1600s, and rebuilt several times after it was destroyed by fire. Today, the bell chimes four times a day, unlike olden times when it used to be rung by hand. The Kita-in Temple belonging to the Tendai sect is the only surviving part of the original Edo Castle. This 9th century temple contains an ornately painted chamber which is believed to be the room where the third shogun Iemitsu was born. Explore the temple grounds and discover the Gohyaku Rakan, 540 statues of Buddha’s disciples. You’ll also come across the Toshogu shrine built in honour of the founder of the Tokugawa Dynasty. 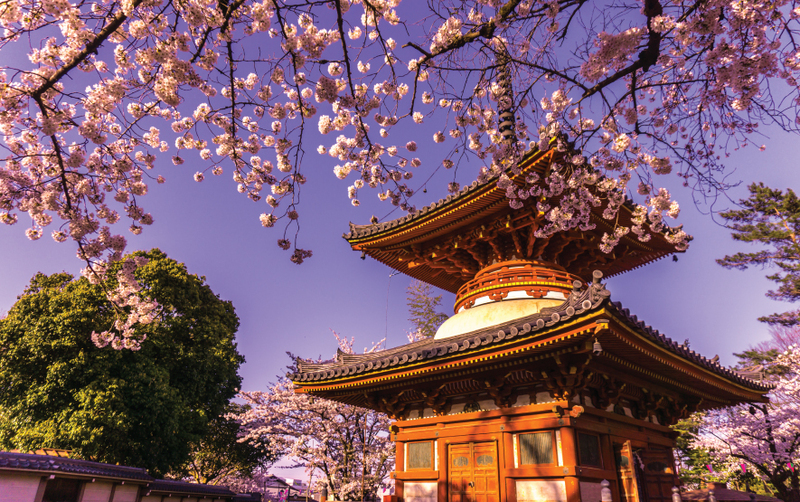 It is especially beautiful during springtime when the cherry blossoms add their beauty to the temple grounds. Kawagoe’s Hikawa Jinja is a beautiful Shinto Shrine whose entrance and several other areas are lined by furin or wind chimes. Their delicate sounds are extremely pleasant and set a charming backdrop for the shrine. 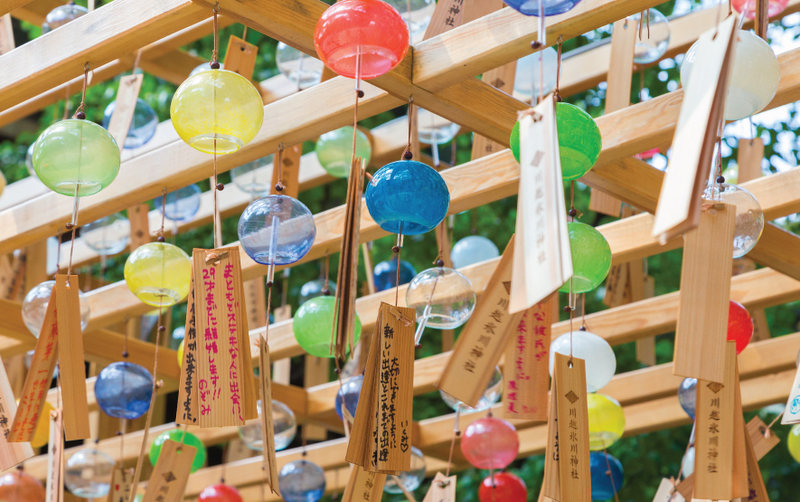 Since the shrine is known for its wind chimes, a special festival has been dedicated to them every year. This summer festival is highlighted with lights, the melodious sounds of the wind chimes and stalls offering food and beverages. The Hikawa Jinja is also known as a ‘love shrine’, and the festival is a good chance for singles to find a partner. Take a stroll down Kashiya Yokocho, lying adjacent to the Warehouse District. This is a charming alley bedecked with candy stores and children’s gift shops. The shops were earlier warehouses that stored liquid sugar. Here, you’ll find traditional Japanese sweets and cakes including rice crackers, ice cream, candies and cakes made from sweet potatoes and red bean paste. Kawagoe’s Warehouse District or Kurazukuri no Machinami takes you back to the Edo Period. It is reminiscent of the olden days when Kawagoe was a commercial centre that supplied resources to Edo, now Tokyo. Kurazukuri Street extends to a few hundred metres, and is perfect for basking in the ambience of ancient Japan. You could visit Kawagoe as a day trip from Tokyo. Approximately 1 hour by car from Tokyo city centre, it provides a valuable insight into a charming low-rise city, offers traditional Japanese cuisine and shopping opportunities, spiritual indulgence and parks that lead you to nature’s beauty. If you are planning a trip to Kawagoe in Japan, do not hesitate to contact your luxury travel designer Mr. Isao Numano. Copyright © 2016 Regency Group Inc. All rights reserved.